APA Lyft car with its trademark pink moustache next to a yellow taxi in San Francisco. While Uber made headlines last week for all the wrong reasons, its chief competitor Lyft was having its biggest week ever. Lyft spokesperson Paige Thelen told Business Insider on Tuesday that last week was Lyft’s biggest week yet. That’s in terms of how many rides were taken on the app, though Lyft would not disclose those numbers. Thelen told Business Insider that several people had asked how Lyft was doing in response to the controversy surrounding Uber. Citing recent growth, Lyft is also introducing a new email campaign to customers this afternoon. The emails will answer guests’ questions about the service. 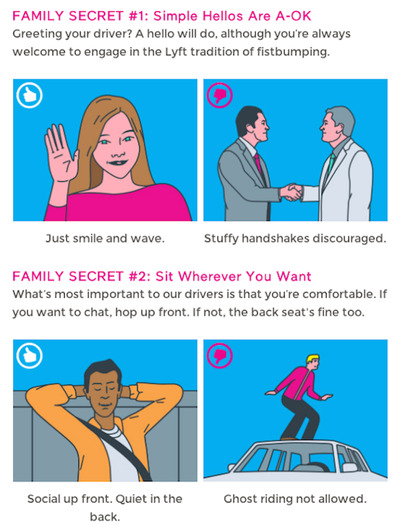 For instance, it’s typical Lyft protocol to fist-bump your Lyft drivers upon entry and sit in the passenger seat. It’s much more casual than Uber’s black car feel. But now, Lyft demonstrates that it’s trying to shed that laidback look, or at least let its riders choose how they want to ride. The new email campaign tells customers that if they want to take a seat in the back of their Lyft car or forgo the fist-bump, that’s fine, too. 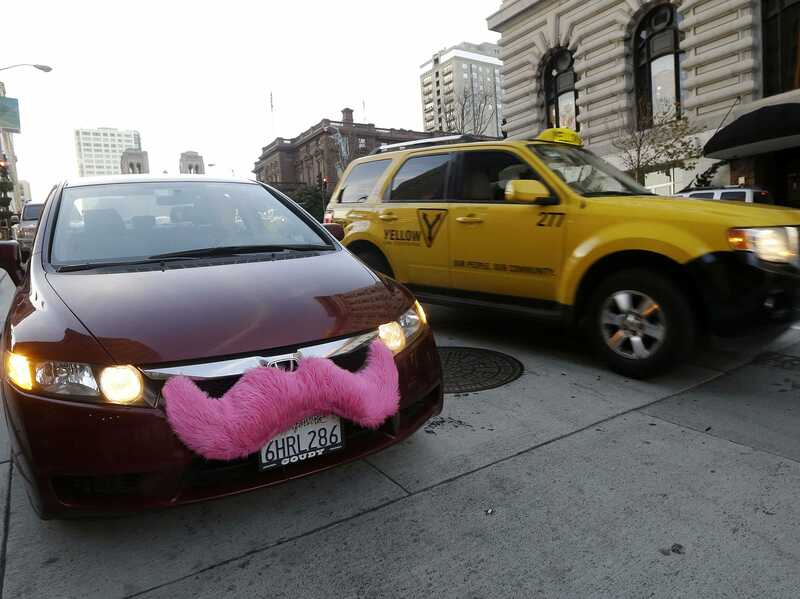 Lyft is a contender in the on-demand car service wars. Sure, the $US332 million Lyft has raised pales in comparison to Uber’s $US1.5 billion. But Lyft provides a solid service, and if Uber continues to make public missteps, Lyft will continue reaping the rewards.